Vision Adventure Nepal is composed of dedicated, honest and professional trekking guides based in Nepal. They are all duly licensed by the Nepal government, and have extensive experience and knowledge in the different trekking areas and regions in Nepal. All of them speak English to cater to our international clients. Mr. Arjun Prasad Timalsina was born in Panchkhal Valley in the district of Kavrepalanchok, 45 km southeast of Kathmandu. 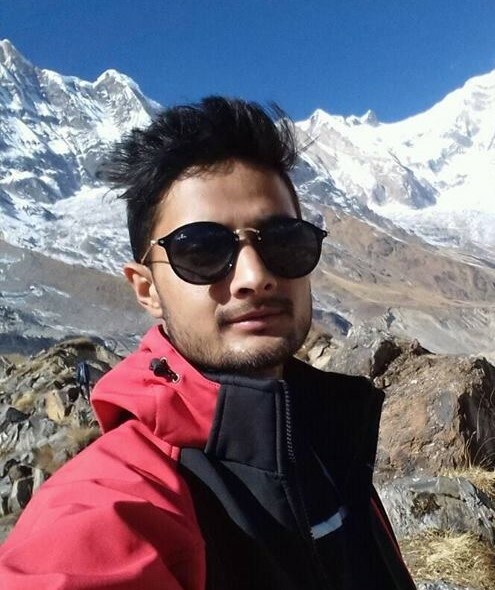 After completing his bachelor’s degree in Business Studies from Tribhuvan University, he started his career in the tourism industry by working as an assistant guide for various trekking agencies. He gradually upgraded himself as a professional trekking guide by completing trainings from different tourism organizations. He successfully passed a trekking guide course with a grade of 'A' from the Nepal Academy of Travel and Hospitality Management in Ravibhawan, Kathmandu. He is currently the head guide and Tour Operator of Vision Adventure Nepal, handling popular trekking routes in different regions such as Everest, Annapurna, Langtang, Manaslu, Kathmandu valley, Pokhara valley, Upper Mustang and more. Mr. Ngawang Churim Sherpa was born in Patle village in the Okhaldhunga district. He started his career in the trekking industry when he was 18 years old after finishing his high school. 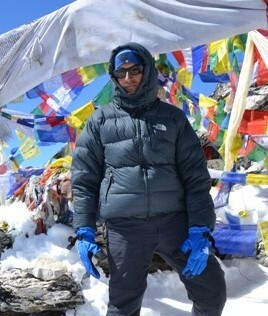 After working for 3 years in the Everest region, he came to Kathmandu to explore the other trekking regions in Nepal. 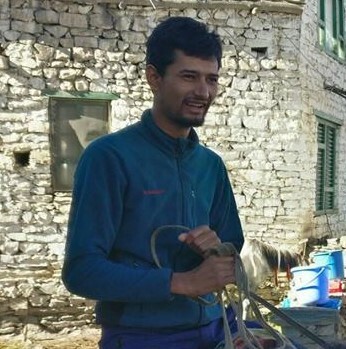 He then became a government-licensed trekking guide after passing a trekking guide course in the Nepal Academy of Travel and Hotel Management (NATHM) in 2013. He has extensive knowledge of the Himalayas, as he was born and raised in this mountain region. He has done Everest trek more than 30 times. He has led many groups as a trekking guide in Everest, Langtang, Annapurna and Manaslu. Mr. Saroj was born and raised in Dhawa village in the Gorkha District, located in the foothills of Mt. Manaslu and Ganesh Himal. He was raisde in the lap of the mountain and studied his high school in Prabhat Higher Secondary School. Since his childhood, he was already interested to work in the trekking industry that’s why he came to Kathmandu to start working for various trekking agencies. After 3 years of exploring different regions in Nepal, he became a government-licensed guide after passing a trekking guide course in the Nepal Academy of Travel and Hotel Management (NATHM). He has been to Tsum Valley-Manaslu trek more than 20 times. He has trekked in other different regions in Nepal such as Annapurna, Langtang and more. Mr. Basnet was born in Deu Mai municipality in Illam district, located in the eastern part of Nepal, which is famous for its tea and organic cardamom farming. It is located in the foothills of Mt. Kanchenjunga. After he finished his high school from Adarsha Higher Secondry School, he came to Kathmandu for further studies. 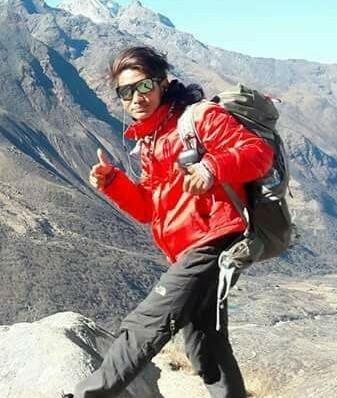 He started to work in the trekking industry while finishing his bachelor’s degree in Science from the Mahendra Ratna Campus Tahachal in Kathmandu. He started as an assistant guide for 3 years, then became a government licensed trekking guide after passing a trekking guide course in the Nepal Academy of Travel and Hotel Management (NATHM). He has extensive knowledge of the mountains and is well-versed in English.